The European Association of Urology has updated guidelines on urinary incontinence (UI) with successive major chapters being revised each year. The sections on assessment, diagnosis, and nonsurgical treatment have been updated as of mid-2016.These guidelines aim to provide sensible and practical evidence-based guidance on the clinical problem of urinary incontinence.A condensed version of the full guideline on assessment and nonsurgical management of UI, with the aim of improving accessibility and increasing their dissemination, has been presented. 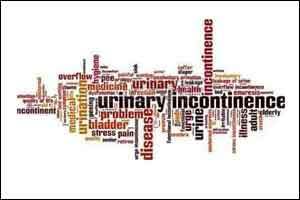 Urinary incontinence is a very common condition which negatively impacts patient’s quality of life. Several types of incontinence exist and since the treatments will vary, it is important that the diagnostic evaluation establishes which type is present. The diagnosis should also identify patients who need rapid referral to an appropriate specialist. According to authors literature search was updated from the previous cut-off of July 2010 up to April 2016. Evidence synthesis was carried out by a pragmatic review of current systematic reviews and any newer subsequent high-quality studies, based on Population, Interevention, Comparator, and Outcome questions. Appraisal was conducted by an international panel of experts, working on a strictly nonprofit and voluntary basis, to develop concise evidence statements and action-based recommendations using modified Oxford and GRADE criteria. These updated guidelines provide an evidence-based summary of the assessment and nonsurgical management of UI, together with a clear clinical algorithm and action-based recommendations. Although these guidelines are applicable to a standard patient, it must be remembered that therapy should always be tailored to individual patients’ needs and circumstances. The guidelines include algorithms that summarise the suggested pathway for standard, uncomplicated patients with UI and are more useable in daily practice. The full version of the guideline is available at http://uroweb.org/guideline/urinary-incontinence/.